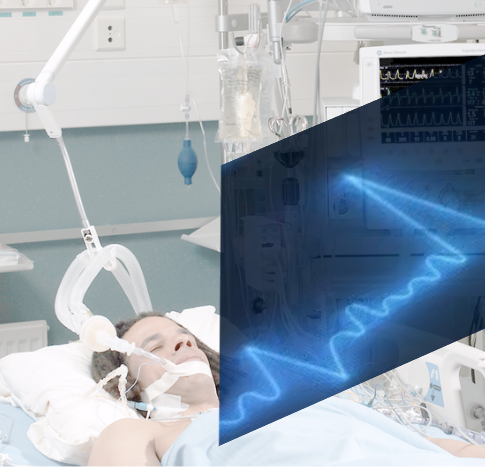 Critical Care in Neurology addresses the day-to-day management of patients in neurointensive care units, and in particular the clinical approach to common neurocritical conditions. Tutorial on critical care by Patrick Neligan MD (University of Pennsylvania). Tutorial on mechanical ventilation by Patrick Neligan MD (University of Pennsylvania). Algorithms used in the Medical Intensive Care Unit of The Cleveland Clinic Foundation for the diagnosis and management of conditions commonly present in the critically ill.
Société Française d'Anesthésie et de Réanimation (SFAR) Scoring Systems for ICU and Surgical Patients allow an easy "on line" calculation of scores used in general or specialized Intensive Care or Anesthesia. Easy to use medical calculator with formulas in most medical specialties including every day use formulas in critical care. Medical calculator for the proper dosing of medications administered by infusion pumps. Medical calculators, algorithms, pharmacokinetics and oncology formulas. This World Federation of Societies of Anaesthesiologists (WFSA) update covers the major areas of Intensive Care Medicine (ICM), with an emphasis on provision of ICM in areas where resources are limited, but also covers the major areas of development in ICM where resources are less restricted. Publications and guidelines provided by The Intensive Care Society, which is the representative body in the UK for intensive care professionals and patients. The Canadian Critical Care Society (CCCS) is the National Specialty Society, representing Adult and Pediatric Critical Care Medicine physicians in Canada. Critical Care Nutrition is a Canadian association dedicated to improving the practice of nutrition therapies in the critical care setting. The 2013 Clinical Practice Guidelines summarize the evidence from approximately 300 randomized controlled trials in the area of critical care nutrition since 1980. European Respiratory Society e-learning resources. Some of the education resources on this website are for members only, but the Guidelines and the publication European Respiratory Review are free. The Geneva Foundation is an amazingly well organized directory of links organized by diseases and conditions mostly on gynecology and obstetrics. It also has an excellent link directory on free medical journals in all specialties, including Critical Care journals. BioMed Central is an STM (Science, Technology and Medicine) publisher of 251 open access, online, peer-reviewed journals, including journals in Critical Care. Journal Club Critique and all Research Articles published by Critical Care are made freely accessible online immediately upon publication. The other articles require subscription. Medscape Reference is an outstanding free medical resource with vast content in all medical specialties including critical care articles. Medscape News is an outstanding free medical resource and includes articles reviews from the medical literature in critical care. Medscape Education is an outstanding free medical resource and includes continuing medical education content in critical care.